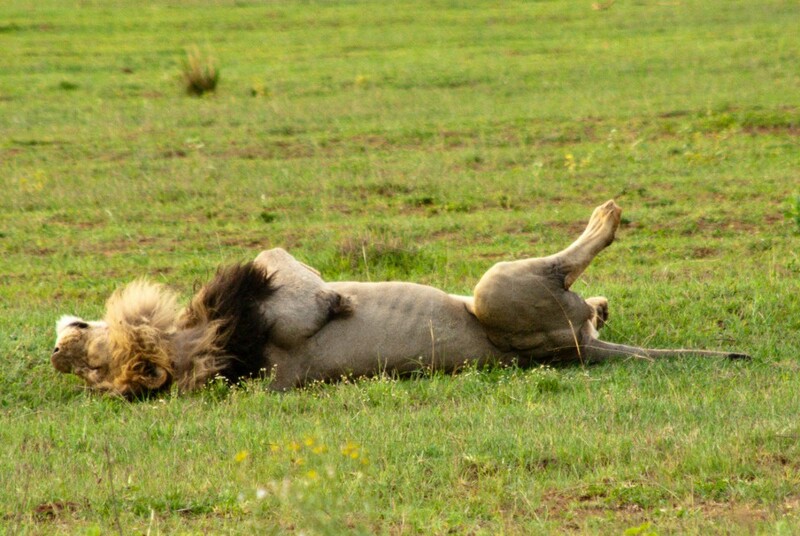 Sleeping on his back on the savannah equivalent of a coach, while his wives are out working. All that is missing is a TV with a soccer game on it. The photo was taken in Entabeni, South Africa in december 2010.